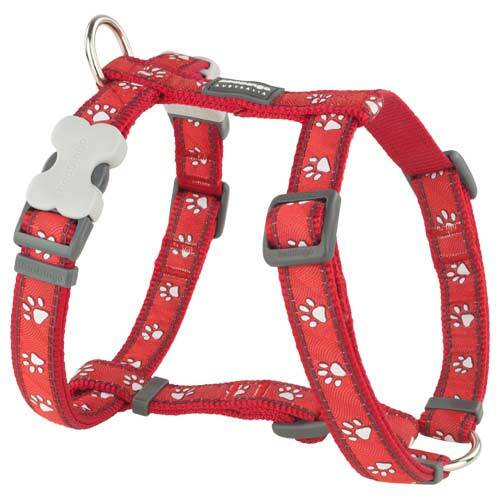 Red Dingo dog harness in Desert Paws Red design. Simply the best dog harness for style, performance and price. Very pleased with this product. The ability to adjust the part of the harness that goes from neck to chest means it doesn't sit too close to my Labrador's armpits which she hates. Much more comfortable for walking and in the car. 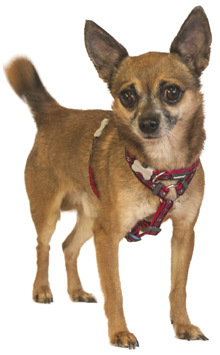 This is a strong but very soft harness which I bought for my dog. It looks great even a year on and my dog is a rolling in mud queen. We get compliments on her harness every week at least. The best thing for us is how soft it is on Cassie's coat, even if I have to pull her back I know it won't hurt her. It is also a great quality product - very well made and I have no fears of her twisting out of it. 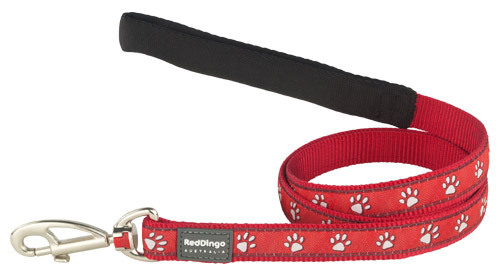 I have tried other harnesses but I now will buy Red Dingo before any other brand.